XVirus is a free anti-malware software with ransomware and real-time protection. It is a very lightweight malware remover and can run along with your default virus scanner without any trouble. You can use it to perform a full system scan or a quick scan to find if any malware is residing on your PC. As I mentioned, it comes with a real-time protection against malware. This helps you remove an identified malware and keep your system safe and sound. Not just ransomware, it can also detect and remove any adware from your PC. This makes it a 3 in 1 lightweight software to protect against malware, ransomware, and adware. 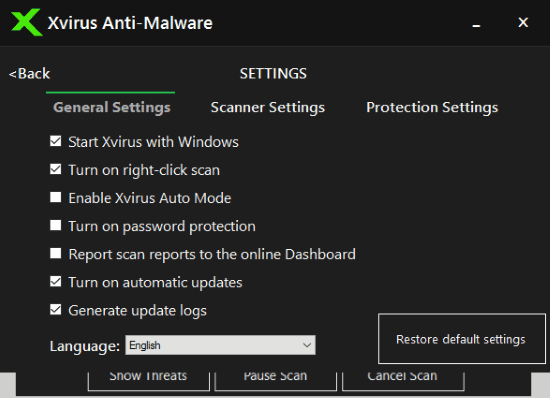 Xvirus Anti-Malware comes with a pretty straightforward interface with options to perform a full system scan, quick, and custom scan. Download it from the link at the end of this review and install it. 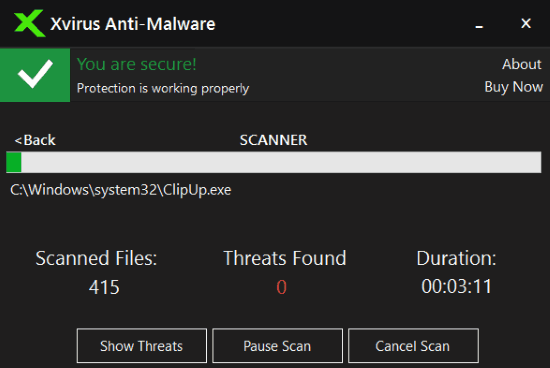 When you open Xvirus, it will first update its malware definitions, after that, you can perform a system scan to see if there are any malicious files or malware on your PC. It automatically enables the real-time protection mode to safeguard files, system, and network. Once the scan is over, it will show you the results which might include some malware, virus, etc. You also get the option to bulk select files in the report and then choose to remove and quarantine them. You can also choose to whitelist files if you think they are reported as false positive. Fortunately, I found my PC to be totally clean and free from any type of malware stuff. There are a couple of additional options as well, like you can make it auto-start at Windows startup, get the option to scan with XVirus in the context menu, and turn on its auto mode. In auto mode, it automatically takes decisions on threats found. You can also choose to automatically quarantine threats and set a scheduled scan on a daily, weekly, and monthly basis. The pro version of Xvirus allows you to password protect it, network protection and monitor, and cloud protection. 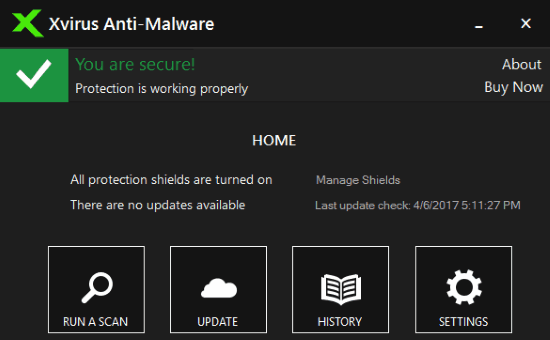 XVirus is a free anti-malware with real-time protection against ransomware and adware. The reason I will recommend this anti-malware is that it is very lightweight and is compatible with the default antivirus. I am using Avast and it worked without any glitches and slowing down my PC. So, you can add a little bit of more protection with Xvirus to your system as it completely free and offers real-time protection too. April 23, 2019 How to Turn Google Forms to Chatbot?